I even get excited to catch mere glimpses of Fortnum & Mason in photos and videos, so these teabags with the lovely green packaging were a very welcome addition to my tea cabinet. I also received a gift set with 6 mini Fortnum & Mason canisters, and I have been able to work those into my daily tea routine, but sadly none of the canisters contain Jubilee. I like the Jubilee blend so much that I’ve been trying to slowly ration the teabags, because left unchecked, I am sure I would finish the box in a week. The flavor has a subtle smokiness that I was not expecting, and a very smooth feel. 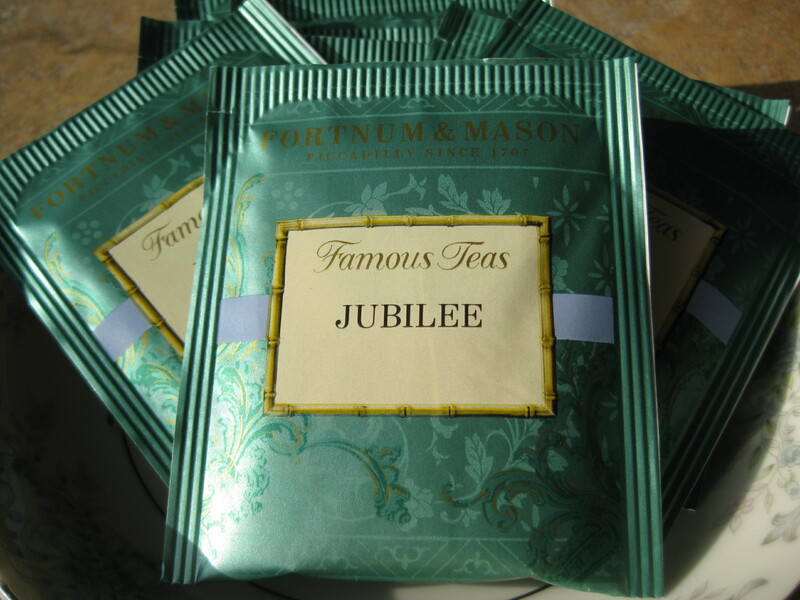 According to the Fortnum & Mason website, Jubilee is a blend of teas from “India, Ceylon and China.” With all those great tea regions represented in a single bag, Fortnum & Mason Jubilee Tea truly is a party in a teacup!